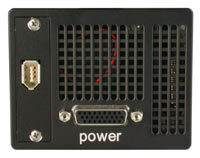 This high resolution 14bit cooled CCD camera system comprises advanced CCD and electronics technology. With the new approach to integrate the image memory (camRAM) into the camera itself, it enables unmatched fast image recording with 128MB/s. The system features thermo-electrical cooling (delta vs. ambient -45°C), a superior high resolution (4008 x 2672pixel) and low noise (down to 12e- rms). It consists of a compact camera with an external intelligent power supply. 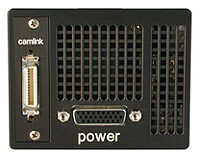 The image data are transferred via customer selectable standard data interfaces to a computer (IEEE 1394 (“firewire”), camera link). The available exposure times range from 5μs to 49days. This cooled digital CCD camera system is perfectly suited for low light and high resolution camera applications, like microscopy, aerial photography or quality control.